Cosmetic Acupuncture and Chinese Herbs for beauty have now become very popular in the Western World, especially in the U.S.A. However it has been practised in China for over hundreds of years, it was used by many rich and elite women in Chinese society to keep a more youthful, glowing appearance. It is a natural holistic alternative to plastic surgery, Botox injections and chemical peels. It rejuvenates both the face and the body. 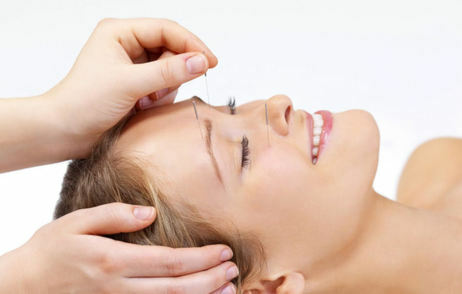 It does not merely gloss over and hide the effects of aging, but the combination of acupuncture and herbs instead enhances the entire health of the indivivdual - improving digestion, increasing energy and nutrients, boosting regenerative and anti-aging hormones, and relieving damaging wrinkle causing stress. In regards to the face, the treatments will improve and stimulate the circulation of energy, blood and nutrients to it. This promotes collagen, moisturizing oils and elasticity to give the skin a healthy youthful glow and to help prevent future wrinkles, decrease existing ones, erase fine lines, reduce sagging, and clear age spots etc. A series of treatments is usually necessary. It is recommended to initially have a course of about ten treatments to see good improvements. To learn more about Cosmetic Acupuncture and Chinese Herbal Beauty treatments, click here to check out this interesting article on our blog. If you would like to make an appointment for Cosmetic treatment then please click here to send an email to the clinic.